Gallstones are a kapha disorder associated with underactive thyroid and slow metabolism. 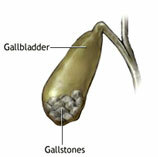 Gallstones begin with stagnation of bile in the gallbladder. The bile becomes thick, accumulates, coagulates, and slowly leads to stone formation. Prevention of gallstones, and what to do when gallstones are present, are two different lines of treatment. First let's consider what to do when gallstones have already developed. In general, gall. stones are not painful. They may remain 10 the gallbladder for a long time without causing any pain; indeed, you will not know they are there. Pain occurs when the gallbladder tries to push the stones out of the gallbladder through the bile duct. Yakrit Phila Antak Churna : 1 teaspoon twice daily, before meals. Kutki Powder:1 teaspoon twice daily, after meals. Arogyavardhini Vati: 2 tablet thrice daily. The gall bladder is a pear shaped organ, 10 cm long and 3-5 cm wide, attached on the undersurface of the liver on the right side. The main function of gall bladder is to store the bile secreted by the liver. Bile assists in the digestion and absorption of fats and the absorption of fat soluble vitamins A, D, E, K, minerals and calcium. Gall stones are usually caused by disturbances in the composition of bile. A change in ratio of cholesterol and bile salts may result in the formation of deposits, ultimately leading to the formation of larger stones. The incidence is higher in females than in males, particularly who are obese. The causes of gall bladder stones are due to digestive disturbances caused by excessive intake of fat and carbohydrates in the diet. It can also be caused by disturbances in the liver and gall-bladder. Poor health, hereditary factors, stress, may also cause gall-bladder disorders. Take 1/4 teaspoon of this mixture 2 or 3 times a day with honey. 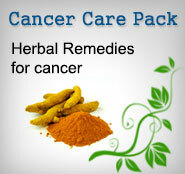 It will reduce the pain and ease the gallbladder attack. Important: This liver-flushing treat?ment should not be done without the approval and guidance of your physi?cian or the direct supervision of an Ayurvedic physician. Otherwise, you may damage the gallbladder and experience dangerous complications. large, such as 3 to 4 mm. in diameter, then the flushing treatment will not be good. Combine 8 ounces olive oil, 4 ounces lemon juice, a chopped fresh garlic clove, and 1/4 teaspoon cayenne pepper. Drink this entire mixture in the early morning (at about six o'clock) on an empty stomach. Don't eat anything until at least noon. 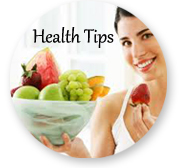 If you feel thirsty, drink hot water or a little lime juice. The treatment is a shock to the gallblad?der, which contracts and squeezes the gall?stone(s) out into the duodenum. That night, take 1/2 teaspoon of triphala with warm water. The next day you will pass some green stuff in the stools. This is thick, coagulated bile containing the gallstone crystals. This mixture (1/4 teaspoon 3 times a day with honey), taken regularly for 2 to 3 months, will help to prevent gallstone formation. Several yoga asanas are beneficial for prevention of gallstones. The Bow pose, Peacock pose, Spinal Twist, and Narayan pose (lying on the left side) will help to empty the gallbladder. (For illustra?tionsof yoga postures.These postures will improve circulation in the gallbladder, helping to prevent the crys?tallization process. Stay away from deep-fried food, dairy products such as yogurt and cheese, and all fatty foods, especially animal fat and any sat?urated fat. These accelerate coagulation of bile into gallstones.